Pacific racks are designed with the working drummer in mind. Pacific racks are designed with the working drummer in mind. 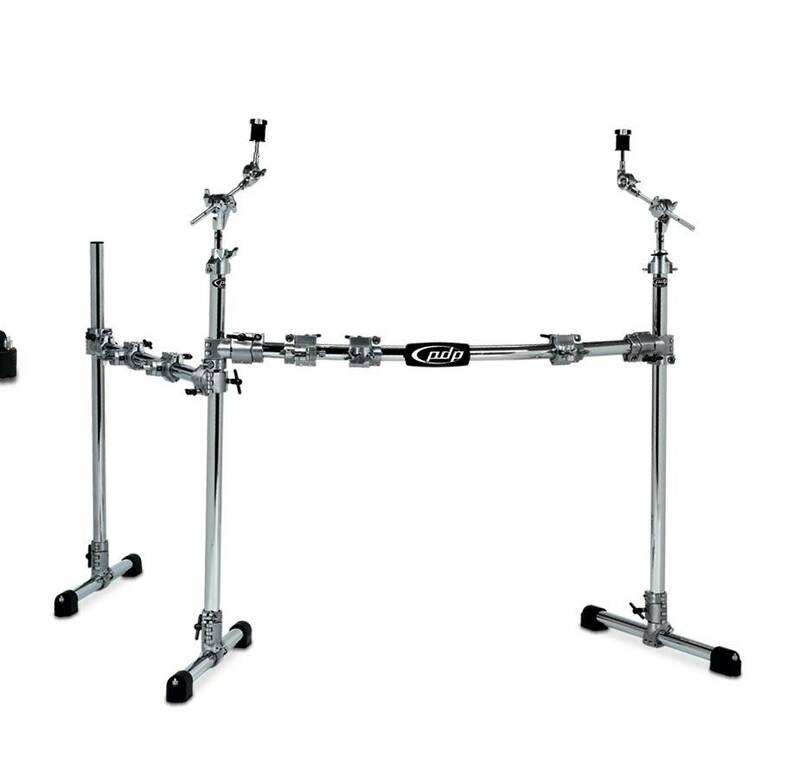 Heavy-duty chrome-plated steel tubing and a multitude of available reinforced clamps and accessories mean that PDP Racks are built to last and can be tweaked to accommodate just about any set-up imaginable. Sure, we engineered PDP Rack Systems to be strong and modular, but the innovation didn’t stop there. Features like nameplate with built-in level, soft-grip rubber feet with integrated spikes and included TechLock® locking screws make PDP racks a drummer’s best friend. Best of all, PDP V-clamps work with various-sized tubing, so you can pair them up with Pacific hardware, or just about any other manufacturer’s tom arms, cymbal arms or accessories. Now that’s heavy-duty flexibility!